Dive into the world of Finding Dory with the Disney Pixar Finding Dory Ultimate Sticker Collection Book! Discover cool characters and locations, and learn about your favorite fishy friends like Dory and Nemo. 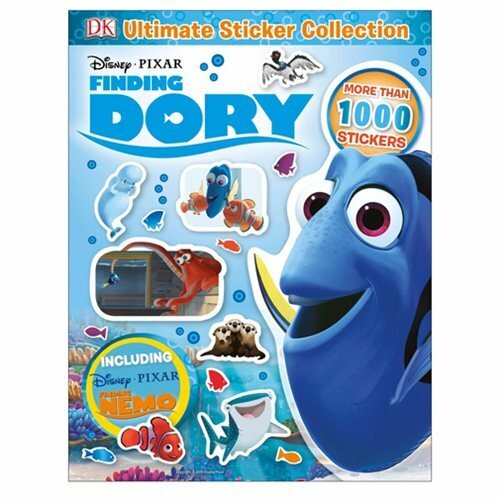 Features more than 1,000 full-color stickers, including stickers from the Finding Nemo movie, too! This 96 page book measures about 11 1/10-inches tall x 8 3/5-inches wide. Ages 13 and up.